This website is a coordinating page to help deliver insulin and other diabetes supplies to Texas as a result of the catastrophic flooding. We have drop off locations listed below. All donations must be made before Friday, September 8. We will assemble and ship on Monday, September 11. Check your diabetes supplies for extra insulin. You usually find this in the butter compartment in your fridge. Check the expiration date of the insulin to make sure it is after December 2017. Choose a location to drop off your supplies. Follow the instructions for the drop off. If you would prefer to make a financial donation, you can do so via Insulin for Life. 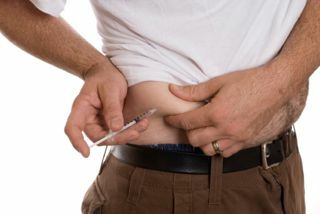 Insulin with an expiration date after December 2017. We will also take a limited amount of syringes, swabs, BG testing kits and other supplies. Please check the Insulin for Life criteria for specific questions. Also, we reserve the right not to take supplies that are not priority needs at this time. As of Tuesday, August 29, we have drop off locations in North Seattle, Central Seattle, South Seattle, Edmonds/Shoreline, South Sound, Tacoma, Everett, Marysville, Mount Vernon, Mukilteo, West Seattle and Bellevue / Eastside. This project is led by Rachel Kudrna and Jake Johnston with regional drop off support from Claire Crouch, Wendy Costello, John Highet, Lisa Michaud, Jamie Elzea, John Fot, Karis Tsolomitis, Stacey Basse, Carol Schreifels, Susannah Iltis, Joni Campbell and Shawna Smith. Please contact Rachel Kudrna with specific questions at (541) 212-9531. Want to coordinate a drop off location in a community not listed above? Fill out the form below and we'd love to have your help! Let us know where the new dropoff location would be. Dropoff instructions / hours / etc. See the examples to the right for suggested text. Thank you! We'll be in touch to confirm the details. Please note that you are responsible for delivering your supplies to North Seattle between September 9 and 11. Contact Jake Johnston with any questions 206-240-3133. Text Rachel Kudrna at 541-212-9531 to arrange drop off. A cooler will be available on front steps. Text Jake Johnston at 206-240-3133 with the date and time you would like to drop off. A cooler will be available on front steps. A cooler will be available on front steps. Call Shawna Smith at 206-229-7602 or via email at Shawna.p.smith@gmail.com to coordinate drop off details. Contact is Lisa Michaud. Open Tuesday - Saturday 11am - 6pm (but not this Saturday the 2nd). We have a fridge so I can take insulin. No call-ahead necessary. Contact is Joni Campbell. There will be a cooler on the front steps. Donations taken until September 9. Call Joni at 206-850-9665 with questions. Text or call Rachel Kudrna at 541-212-9531 ahead of time to coordinate drop off in Belltown. Location available between 8:30 AM and 4:30 PM weekdays. Contact Karis Tsolomitis. We have a fridge on site to store insulin and other supplies. Donations accepted until 9/8. Call Karis at 206-708-2240 or email ktsolomitis@jdrf.org with questions. 16611 SE 12 th St. Contact is Wendy Costello. There will be a cooler on the front porch. Please text Wendy at 425-443-9368 when you drop off. Contact is Stacey Basse. There will be a cooler on the front porch. Donations must be made starting Wednesday, August 30 and before 4PM on Thursday, September 7. Contact is Carol Schreifels at 425-299-0520. There will be a cooler on the porch. Donations must be made between August 29 and September 1 or between September 6 and 8. Meet at the McDonald's. Contact is Carol Schreifels at 425-299-0520. Pickup will be at 1:30 PM on Saturday, Sept 2. Contact is Carol Schreifels at 425-299-0520. Carol will meet people in the evening on August 31. Call for details. Contact is Carol Schreifels at 425-299-0520. Carol will meet people on August 29 and September 7. Call for time and place. Contact is Jamie Elzea. Text Jamie at 206-552-1247 with a date and time you'd like to drop off, a cooler will be available on the front steps. Contact is John Fot. Accepting donations from Wednesday 8/30/17 until early AM Wednesday 9/6/17. Call/Text John Fot @ 503-367-1427 to coordinate. Some one will be here at all times from Friday morning until Monday afternoon. If no one is home on other days, porch drop off is secluded and safe. There will be a cooler set out for insulin when no one is present. Contact Karis Tsolomitis. There will be a cooler on the side of the house under the porch. Donations taken until 9/8. Call Karis at 206-450-7634 with questions. Call for drop off location. Contact is John Highet. Call or text John at 360-961-1803 to arrange drop off. There will be a cooler on the front porch. Donations accepted until September 8.